Could killer whales replace polar bears as the North's top predator? Few species actually benefit from melting sea ice, but orcas may be one of them. Rigid floes are tricky for the marine predators to navigate, but as ice coverage in the Arctic continues to recede, they're conquering new territory. 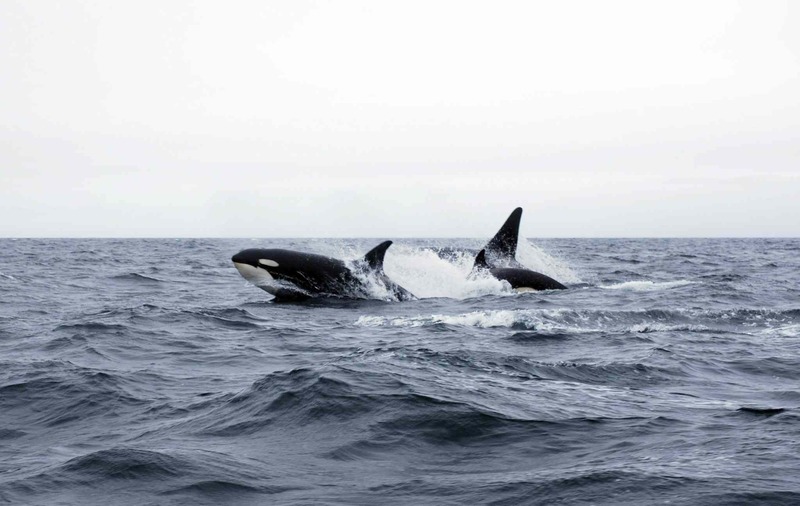 For killer whales, this clears the way to new foraging grounds, but scientists warn the shift could spell trouble for other marine life. The news comes our way from the 2016 ArcticNet conference, which brings together 800 Canadian scientists to discuss the future of the Far North. One of those researchers is Steven Ferguson, who has done extensive work on Atlantic killer whales. Over the past few years, Ferguson and his colleagues have been studying orca activity in Canada's Hudson Bay, which recently made headlines when studies showed that a spike in local polar bear sightings was likely linked to melting ice in the area. Ferguson has observed similar trends in killer whales. "We are seeing a lot more killer whale activity in Hudson Bay and they are a top predator. They are really a magnificent, interesting predator – highly efficient," he told CBC. You might not think that such an animal – one that packs four-inch teeth and weighs up to 8,000 pounds – could be foiled by some ice. But frozen expanses can be dangerous to orcas in a number of ways. Their large dorsal fins can become stuck underneath the ice, which prevents the whales from surfacing to breathe. And even when that large fin doesn't get in the way, the whales tend to panic when navigating icy waters. Searching for an escape route takes lots of precious energy, and a tired whale might stop looking altogether. We saw this unfold last year when a pod became trapped off the Russian coast. The past decade has seen the length of Hudson Bay's open-water season extend from two to three months, and killer whales are taking advantage of the bounty. An estimated 57,000 beluga whales – that's about one-third of the world's total population – visit the Hudson Bay area every summer to mate in its shallow estuaries. Because these animals (along with other species like seals and narwhals) are equipped to handle the pack ice, they tend to stick around well into September. Now, as cold cover takes longer to come in, killer whales are following suit. "They are there to eat," says Ferguson. "And, I would imagine, if we lose our sea ice, they will replace polar bears as the [region's] top predator." That, of course, is speculation, but it's not just scientists who are paying more attention to these "freer" Willys. Back in 2014, for example, local residents Remi and Dwight Allen watched a "bumper-to-bumper" group of belugas pile into the mouth of the Churchill River, which flows into Hudson Bay, after a pod of orcas was seen nearby. Later that day, the pair witnessed a successful orca-on-beluga predation. Inuit hunters have also reported similar sightings, which were unheard of before the mid-twentieth century. It's important to note that more than just rising global temperatures could be at play here. The University of Manitoba recently launched a $15-million study to determine how freshwater from hydroelectric dams could be influencing ice formation. Not only does freshwater exchange between the dams, coastal currents and the various rivers that feed Hudson Bay likely influence the type of sea ice that forms here, but it also has an impact on the dynamics of how that ice interacts with the marine ecosystem. Eggs and berries are bad news for polar bears, a new study finds. The news may be even worse for climate-change deniers.